Elli AvRam chilling out taking a sunbath in Bikini, and she has the cutest company. Elli is a rare find by Bollywood, although she is yet to show her real shining performance in films. Elli is like Kendall Jenner of Bollywood. Elli generates tremendous amount of fan following with her social networking feeds and TV appearances. She is the swedish born hottie , has only 1 non significant film on her name yet (Mickey Virus ) And only 1 big show on TV. But still she found immense love and fan following in Indian crowd. Guess what its a win win we don't want to miss a secondary Katrina Kaif right. Elli will sure make it big , she just need a right launchpad. Elli Avram in tiny , skimpy Bikini. Accompanied by cutest puppy on the planet. Elli in Stockholm , her home town. 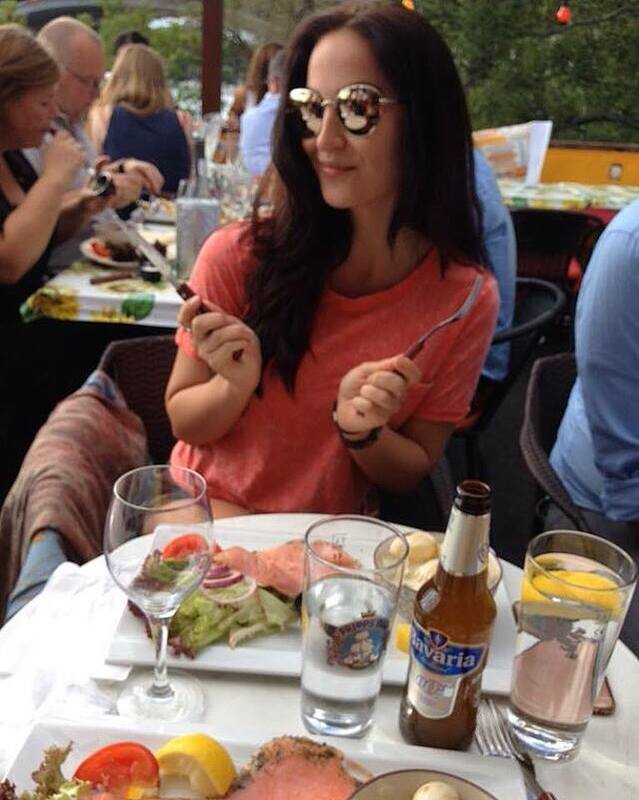 Elli in Stockholm, can you read what brand of Beer she is drinking. If you are a beer buff , you sure wanna know !! !